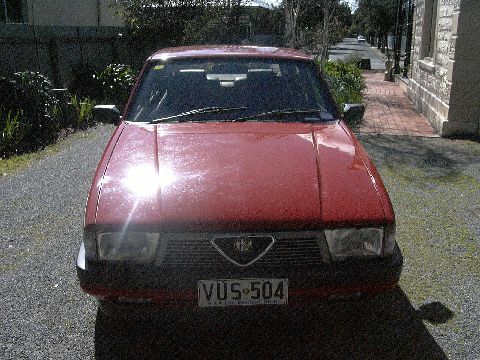 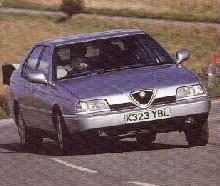 Alfa Romeo replaced its ageing Giuletta and Alfetta in 1986 with the new 75. 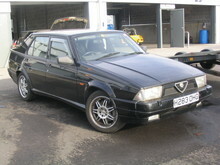 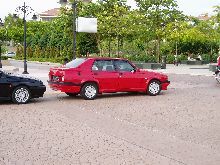 The Alfa Romeo 75 had unusual square edged styling and came only as a four door, five seater saloon. 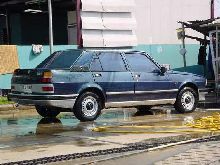 With a choice of engines that included a 1.8 litre or 2.0 litre four cylinder engine as well as more powerful V6 engines of either 2.5 litre or 3.0 litre capacity. 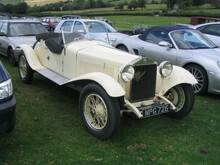 Built as a drivers car the 75 had traditional front engine, rear wheel drive with the gearbox mounted at the rear in the interests of even weight distribution. 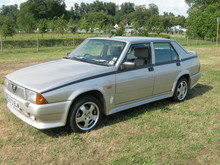 The 75 remained popular from 1986 until its withdrawal in 1992 after some 187,000 had been built.